ThruLok are engineered to replace a carriage or through-bolt with no predrilling required. Comes assembled with screws, nuts & washers. Free hex bit. 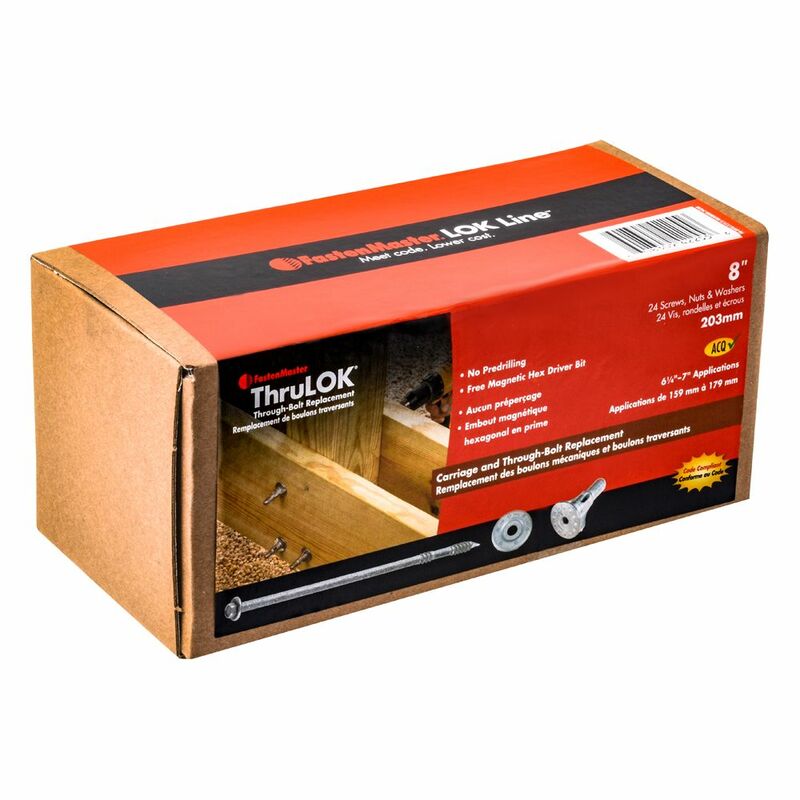 8-inch ThruLOK(R) Screw Bolt Fastening System - 24pk ThruLok are engineered to replace a carriage or through-bolt with no predrilling required. Comes assembled with screws, nuts & washers. Free hex bit.